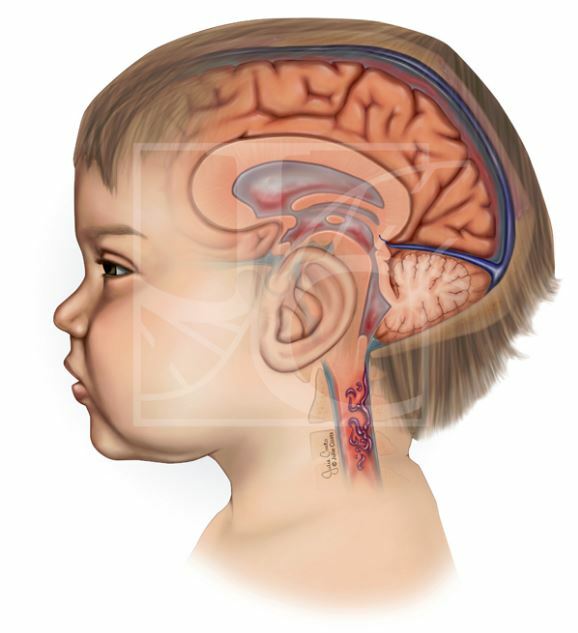 This illustration by Julie Coats is a cervical presentation of a ruptured arteriovenous malformation (AVM) in an infant. Although uncommon at this age, it shows the course of blood through the CSF. View more science illustration from Julie through her Medical Illustration & Animation portfolio and at coatsmedicalmedia.com.